Previous post: Ready for the Dalai Lama’s visit? Check it. 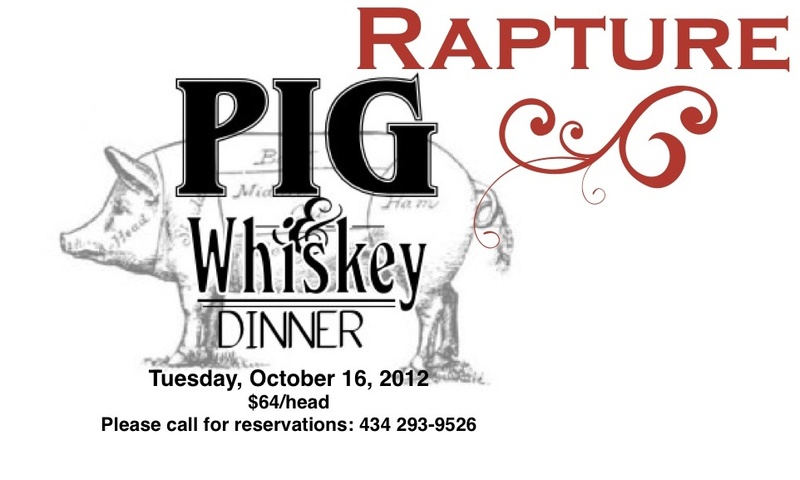 Another one of them there whiskey dinners from Rapture. Oh, yeah! lemon-bourbon syrup, egg white, Cointreau-macerated cherry. House Bacon Brownie, Melted Lardo, Jameson Whipped Cream, Brûléed Surryano Ham, Pumpkin-Salted Caramel Purée!